You are in safe hands working with us! 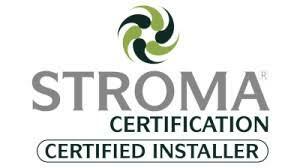 Burridge Electrical is fully insured and registered with STROMA , government endorsed TrustMark approved, Part P registered company. Anton Burridge is the owner of Burrridge Electrical. Anton is EAL and City & Guilds qualified and frequently keeps up to date with any regulation changes. Part P forms part of the Building Regulations. The principle of the Building Regulations is to ensure that consistent standards are applied to the construction of buildings including its structure, fire safety, sound insulation, drainage, ventilation and electrical safety. Part P applies to any changes made to existing installations, including any parts that have been rewired. In April 2013 further changes were introduced, reducing the range of electrical installation work that is notifiable - removing some requirements in kitchens and outdoors. Electricians carrying out work in England and Wales have to comply with Part P of the Building Regulations whereas in Scotland it is the Building Standards system. At the present time Northern Ireland has no equivalent statutory requirement. What electrical work is covered by this law? 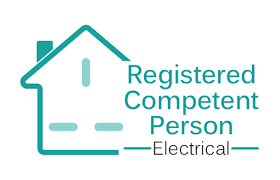 All electrical work must either be reported to the local-authority building-control, or be carried out by an electrician who is registered with one of the Government-approved scheme providers such as NICEIC, STROMA, ELECSA and NAPIT. By law, all home owners and landlords must be able to prove that all electrical installation work meets Part P, or they will be committing a criminal offence. Local authorities can make home owners or landlords remove or alter any work that does not meet the Building Regulations. What type of work is notifiable to building regulations? Circuit alteration or addition in a special location such as bathrooms, shower rooms and saunas. Do you need a Domestic Electrician? No job too small, from a simple socket change to a full rewire. Burridge Electrical covers a full scope of domestic electrical installation and repairs. Have you got an electrical emergency?